Hello! Quick post today to introduce any of you that haven't already come across Bakerella's fabulous blog. I somehow fell upon it a couple of weeks back, and so far I have made her cake pops, congo bars, and cannot wait to make the pudding cups! 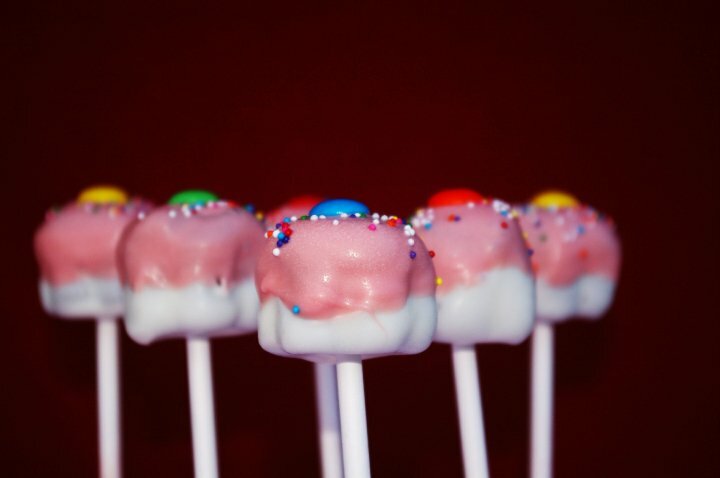 I have read about cake pops, they seem to be all the rage lately. And Bakerella has soooo many different awesome ones! We set out to make these Cupcake Cake Pops..so cute! They turned out awesome, and yummy too! These are super super sweet! Cake mixed with icing, chilled and then dipped in chocolate.. could there be anything better?? Yes.. the Congo Bars! ----> It's a cookie/brownie combo! If you haven't done so, check out her awesome, yummy site! So, so many Cool Ideas! Tips! Tricks!